作者是 在线疯狂 发布于 2015年6月8日 在 LeetCode. Find the total area covered by two rectilinear rectangles in a 2D plane. 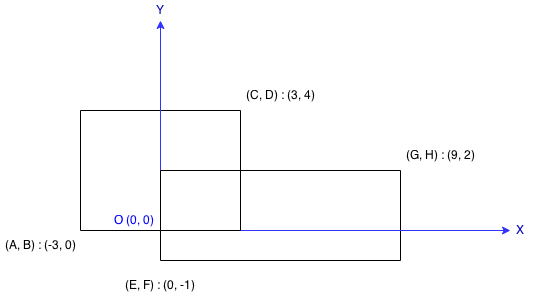 Each rectangle is defined by its bottom left corner and top right corner as shown in the figure.